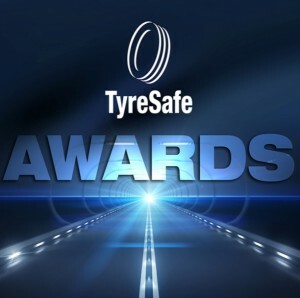 Automotive and road safety professionals including tyre manufacturers, retailers, emergency services and councils are being encouraged to submit their entry into the inaugural TyreSafe Awards. The awards, which will be presented on Wednesday, November 20, at St Johns Hotel, Solihull, will recognise the best contributions in helping raise awareness about tyre safety issues. Entry into the awards closes on November 1, giving organisations an opportunity to include any activities or initiatives they run during October’s Tyre Safety Month. Stuart Jackson, Chairman of TyreSafe, said: “TyreSafe’s activities and campaigns have made a significant contribution to improving road safety in the UK over the last few years. “However, this success would not have been possible without the high levels of support and participation we’ve enjoyed from a growing number and wider range of organisations. The breadth of organisations now involved with TyreSafe is reflected in the eight award categories on offer. These include independent garages, franchise dealerships, vehicle manufacturers, tyre retailers and manufacturers and emergency services, as well as local councils, road safety partnerships and other road safety bodies. There will also be an Outstanding Achievement award, which will be decided by the judging panel from all of the individual entries submitted. “We’ve made the entry process as simple as possible as we want as many of our fantastic supporters to get involved,” added Mr Jackson. More information about the awards and a downloadable entry form can be found by visiting www.tyresafe.org or by calling 01787 226995.